Not all online casinos, but an increasing amount are starting to offer Bitcoins as a payment method for your balance. This is due to the increase of cryptocurrency and digitalization of the financial world. Bitcoins are non-tangible coins that are therefore not linked to banks and thus not susceptible for financial problems. These Bitcoins are not, however, worth the same as any currency that we have at the moment, since Bitcoins are around the worth of three thousand British Pounds at the moment. This is why most payments through Bitcoin are in parts of Bitcoin, as in 0.02 Bitcoin, instead of multiple Bitcoins as you might usually see. Bitcoins are the newest form of online payment method that is taking the internet by storm. Since 2015, over 100,000 merchants accepted Bitcoin as a new form of payment methods. While this currency can, in theory, be mined, this non-existing coin is more often seen and used as an investment. In August 2017, the Bitcoin was split into two digital currencies; the classic Bitcoin (BTC), and the Bitcoin Cash (BCH), which hasn’t caught on as well as the former. When choosing to deposit through the use of Bitcoin, you will most often be asked how much you wish to deposit. By using the amount µBTC, MicroBitcoin, these online casinos make deposit amounts more realistic than using full Bitcoin amounts. By acknowledging that you wish you deposit using Bitcoin, you will see a QR code on your screen, which you can then scan, and enter your desired deposit amount. 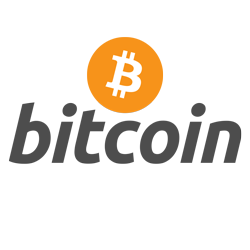 You can also choose to open your Bitcoin client if you do not wish to use the QR code. Your payment will then be completed once it has been confirmed by the network, and the transfer time can depend on the fee paid.